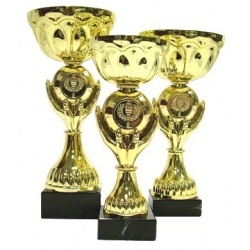 High quality trophy cups at affordable price. The widest web range ! At 1MECTO you can buy high quality trophy cups at affordable price. 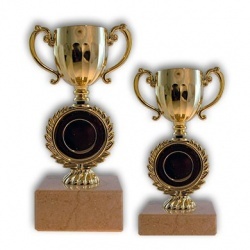 The widest range of quality plastic or metal sport trophies on the web ! Each style of our catalog can be personalised. For example, multi-sport centers, stickers, figurines or engraved plaques. You will find big choice of sports coupes for every competitions of any level and for all sports or events. Quick delivery. 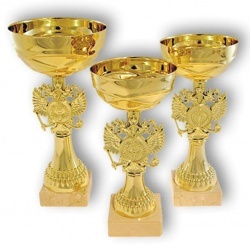 A wide selection of economical, classic and prestige trophy cups. Beautiful trophy cup. Made with plastic bowl and natural marble base. This cup can be completed by a plate with your personal text and multisports 25mm insert. Nice trophy cup. Made with gold plastic bowl and natural marble base. This cup can be completed by a plate with your personal text and multisports 25mm insert. Beautiful trophy cup. 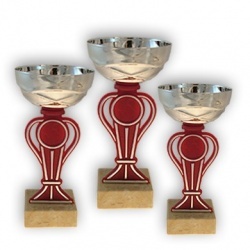 Made with gold and red plastic bowl and natural marble base. This cup can be completed by a plate with your personal text and multisports 25mm insert. 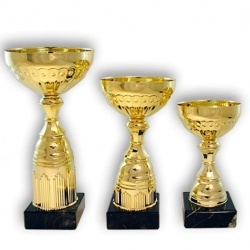 Economic trophy cup available in several sizes. 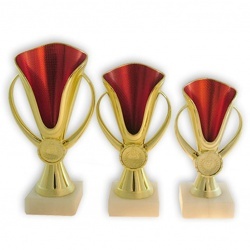 At our online store 1MECTO you can buy high quality trophy cups at affordable price. 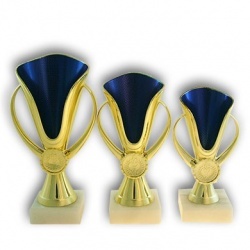 The widest range of quality plastic or metal sport trophies on the web ! Each style of our catalog can be personalised. For example, multi-sport centers, stickers, figurines or engraved plaques. You will find big choice of sports coupes for every competitions of any level and for all sports or events. Quick delivery. 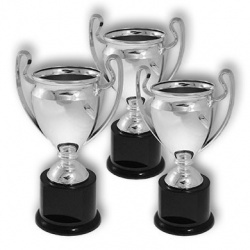 A wide selection of economical, classic and prestige trophy cups.